Sweet Cheeks Adventures: Pamper your Girl with Townleygirl! Pamper your Girl with Townleygirl! As a girl I watched my mom pamper herself. She had makeup that she wore every day, blue eye shadow mind you, and so many tubes of lip gloss. She was always bringing home different colors of nail polish but I don't remember her nails ever being painted. Such a weird memory to have! Anyway, my daughter Allyson might have similar memories of me, but this time Mom's nails are painted! Ally and I love to do our nails together and even better when we can pamper ourselves and make those toes cute! This Christmas we are spending a little bit of time with Frozen and Trolls products by Townleygirl. The My Beauty Spa Kit is perfect to pamper my little girl and make her feels so special. I love how cute it is! It comes with nail polish, nail file, toe separator, and flip flops! I think the flip flops might be my favorite part. With Anna and Elsa on your feet, you can't go wrong. 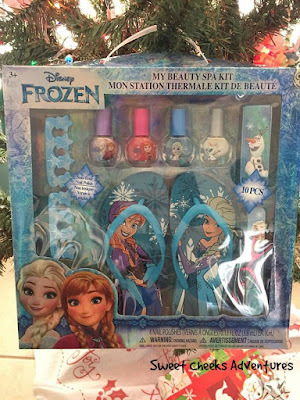 We are also playing around with a Cosmetic Set with a Frozen theme. The lip glass comes in 2 flavors; Bubble Gum and Cotton Candy. I loved playing with these kits when I was younger. Putting on the different flavors and making my lips feel so smooth was an hourly occurrence! I sure kept those lips moist when the cold winds picked up in Winter! 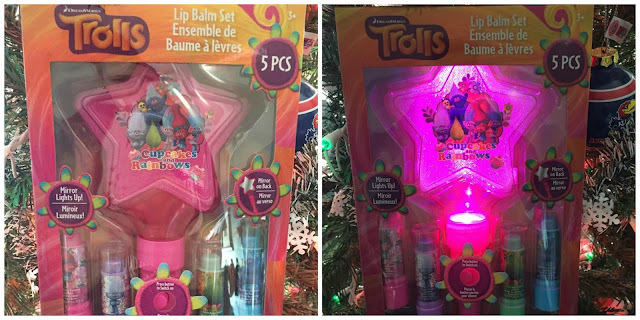 The Trolls Lip Balm Set is so much fun! It comes with a mirror and 4 lip balm flavors. The mirror lights up too! The four flavors aren't your typical flavors either! You can find Strawberry, Grape, Green Apple and Blueberry! Ally loves that they are like lipstick tubes and she feels fancy when she uses them. Wait, there's a Giveaway!! 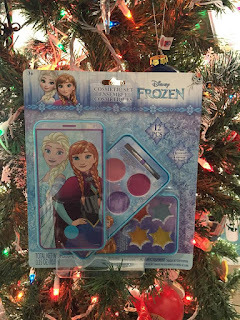 We are giving away 2 sets of the Townleygirl Frozen My Beauty Spa Kit! This giveaway is open until 12/19/16 at 11:59pm EST. Winner will be notified through email. Winner will be given 48 hours to claim their prize before a new winner is chosen. Enter the giveaway below! Great giveaway and will make a perfect surprise for my granddaughter. Mani/Pedi every other week is my "go to" pampering! My favorite pampering memory was when my husband bought me a gift certificate for a full body massage and a facial....but he also got me an extra certificate to give to who ever I wanted. That was I didn't have to go alone. I brought my sister with me. My favorite is having a sleep over girls spa night with my daughters and granddaughters. I remember my granny always rolled my hair with those pink spongy rollers I loved it!